“Many people may be aware of these assessments and use them in their everyday work. However, how well do they appreciate that soils are an important component of these assessments? 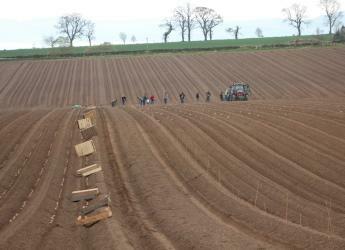 A Macaulay Development Trust funded PhD student, based between the James Hutton Institute and Cranfield University, is seeking information from individuals and organisations about their utilisation of soils data, in a drive to improve decision-making, planning and policy development. Student Grant Campbell says he would like to find out more about the use of soils data, especially where this information is ‘hidden’, for example, as in land suitability assessments. He is also keen to establish what improvements in soils information would be most beneficial to users, and has prepared a questionnaire with a variety of assessments based on previous work and review of the literature. “Most of these assessments are linked to one or more soil functions and are used by a wide range of practitioners. I hope to capture this information so that I can undertake further research and meet the requirements of future soil information users,” he explained. The questionnaire only takes about 10 minutes to complete.